Kona, Hawaii (Friday Final, August 5, 2016) – Malibu Marlin Club wins the 2016 Hawaiian International Billfish Tournament, a decade after their first HIBT win in 2006. 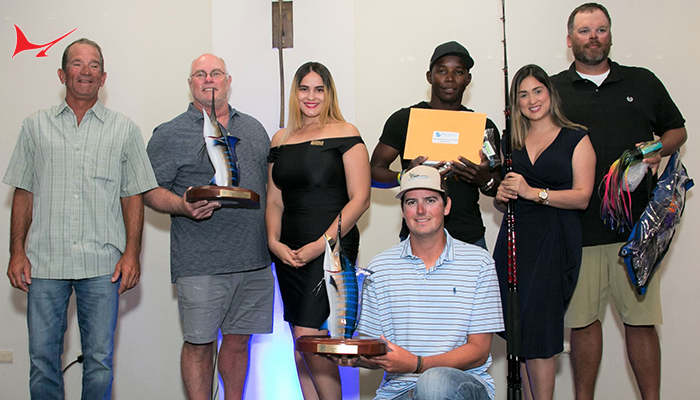 Malibu Marlin Club, put points on the scoreboard on Monday and, while other teams were close, they sealed the win when the reel sounded today just 35 minutes after start fishing. On this last day of the 2016 HIBT, Malibu Marlin Club fished aboard the Northern Lights captained by Oskie Rice. 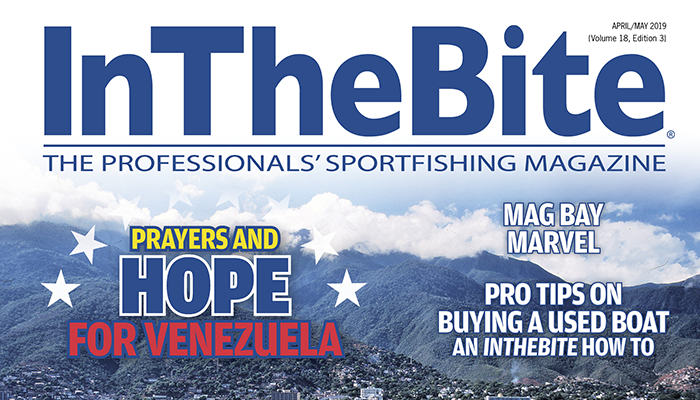 Veteran angler Buzz Colton fought an estimated 150-pound Pacific blue marlin in just 15 minutes before tagging and releasing the fish. 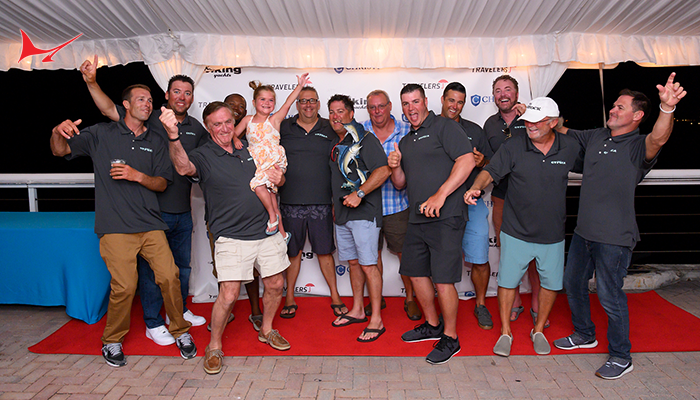 This tag gave Malibu Marlin Club an additional 300 points, securing the 57th Annual Hawaiian International Billfish Tournament Governor’s Trophy for first place. 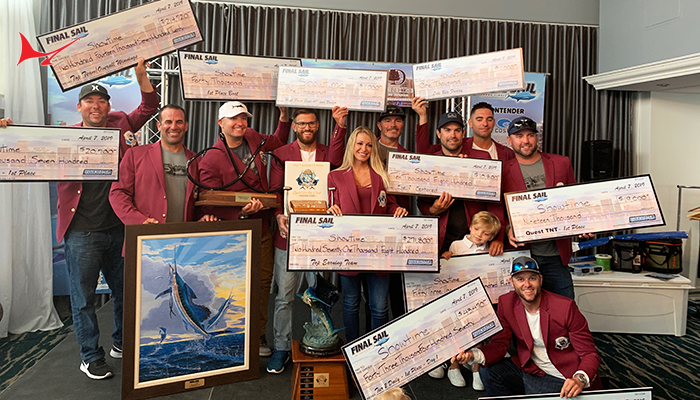 Australia’s Redcliffe Peninsula Game Fishing Club moved up the leaderboard to hook a second place finish with 902.6 points. 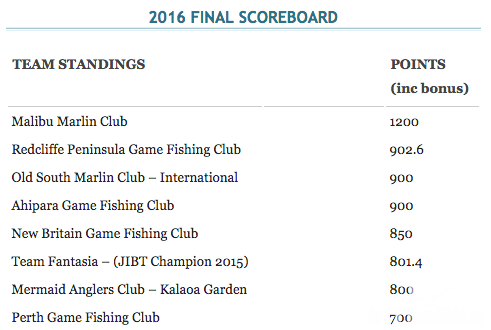 Third place was settled by count back or first to get to the points, and went to Old South Marlin Club – International with 900 points. 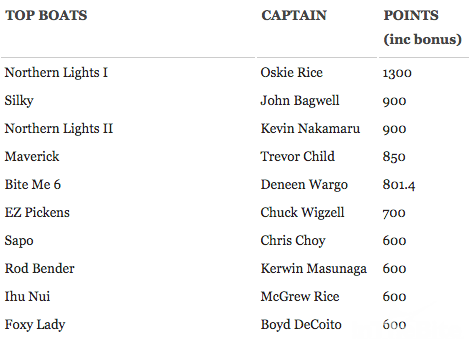 Northern Lights Tops Charter Boat Standings Captain Oskie Rice of the Northern Lights will be added to the coveted list of Hawaiian International Billfish Tournament Henry Chee Award recipients earning 1300 points. 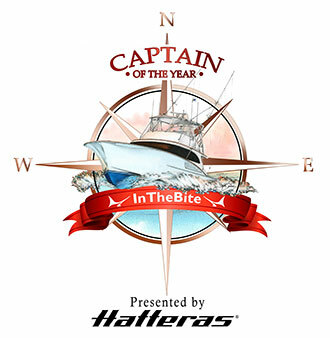 The perpetual Henry Chee Award was established in 1965 to honor the charter boat captain upon whose vessel the most number of billfish points have been scored at HIBT. The award’s namesake, a pioneer fishing captain who set an unprecedented number of gamefish catch records, helped establish the Kona coast as a world-famous fishing destination. 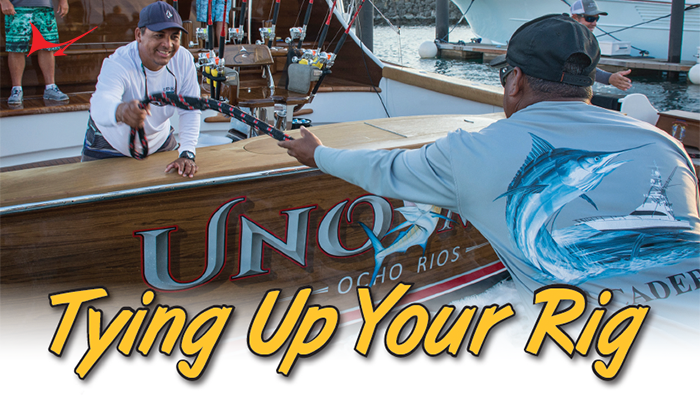 Next year, the 58th Annual Hawaiian International Billfish Tournament is scheduled from September 9 through September 17, 2017. 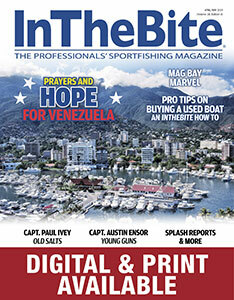 Anglers and teams are invited to apply for entry as a full tournament is anticipated.